There is a little more to planning an herb garden design that just picking what you love and placing them all in one space. Many herbs are known for their companion plant qualities.They help improve the soil, the environment and of course, the beauty of their neighboring plants. This is not a given for all herbs, however. Some herbs actually harm the growth and vigor of certain neighbors. Take a look at 10 herbs that need special care when planted in the garden. Anise, although wonderful for many things, does not make a good companion for carrots. Do not plant this naturally sweet herb anywhere near your carrot patch, and you will be safe. If you want to believe this or not is up to you, but it may be the piece of the puzzle if your carrots are not growing. You may not think that chives do much of anything, other than provide plenty of light onion flavor to dishes, and bloom with their fluffy, purple tops. The truth is, chives grows well with just about anything. Anything but beans and peas, that is. Avoid planting chives near either of these crops. If you are wondering just what to use your chives for, check out some of these ideas! Coriander grows so well, if you blink, it might go to seed and start taking over the garden. Try to keep it contained, and not grow it near fennel, however. 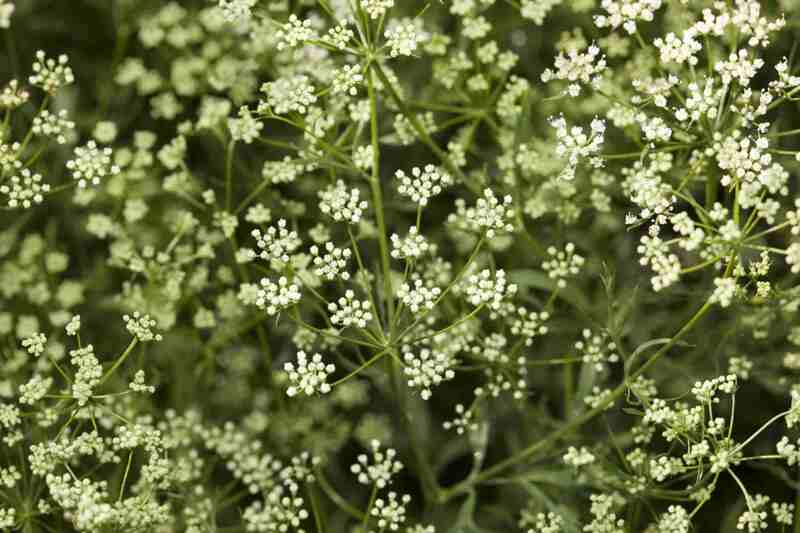 Dill is another herb that is easy to grow and certainly is showy. If you grow dill for any reason, try to keep from planting it next to carrots and tomatoes. Dill is said to affect both of these crops. If you need some ideas for using your dill, here are some recipes to get you started. Fennel is a must have for any culinary and butterfly garden. The huge, feathery fronds, make a lovely backdrop or even a focal point in the garden landscape. When growing fennel, avoid planting next to beans and peppers. In the modern herb garden, rue is used as an herb for the ornamental garden. It makes a lovely accent planting, and it does have a rich history in folk medicine. Do not plant rue near basil or sage, to avoid inhibiting growth of both. Otherwise, plant away! Sage is so worthy of your space in the herb garden. It is delicious and easy to grow. Sage works well with many herbs, but avoid planting next to onions. Here are some ideas for using all the sage you can grow. Tansy is a must have for the ornamental herb garden. The bright, button flowers, are an eye-catching addition to your landscape. Just do not plant Tansy next to your delicious collard greens, or you will be disappointed. Wormwood may no longer be used as a natural wormer, but it still holds a place in my heart as an ornamental bedding plant. Because it contains a large amount of absinthin, it is toxic to other plants. When it rains, the water will wash this substance into the soil and inhibit the growth of anything growing nearby. Enjoy wormwood in a location that will otherwise not be planted. So much good comes from a delicious garlic plant, that we may overlook that it doesn't grow well next to everything. When planting your garlic, avoid planting next to beans or peas. Garlic will inhibit the growth of both of these crops. In my opinion, one can never have too many recipes for garlic. Check out some of these delicious ideas. How Do I Plant Everything? Keeping in mind that some herbs don't grow well with everything, planning can take a few extra minutes. It may be helpful to draw your garden space and then cut out slips of paper with each individual herb written on it. Then, you can move the slips of paper around until you find a configuration that works. Don't think of it as work, think of it as a challenge!